How The Heck Did A Chevy Bolt Beat A Model S In Consumer Reports' Comparo? Is this something Tesla needs to go back to the drawing board to fix? We know Tesla is busy figuring out a way to get the Model 3 out in time for it to deliver on its deadlines, but there seems to be a slight problem that needs addressing before it gets to that. That would be the fact that the Chevrolet Bolt, that remarkable EV from GM that’s having a hard time selling, just beat Tesla’s range-topping sedan during a recent Consumer Reports comparison test. Time to go back to the drawing board? Maybe, but not quite yet. The area where the Bolt overtook the Model S happens to be in the range department, one of the key selling points behind modern EVs like the Bolt and its next and most feared competitor, the Model 3. It’s not like it won by much, but a win is a win. To test electric cars, Consumer Reports fills up the battery and then goes for a drive, ranging in speed and demand but primarily taking place on the highway at a constant 65 mph. For the purpose of the test, the air conditioning and heater are turned off and hard acceleration is avoided to ensure consistency. At the end of the test, the Bolt had managed to take the overheated or chilly test driver a range of 250 miles. Meanwhile, the the Model S sedan CR tested, a 2016 75D, only managed 235 miles while the 2016 Model X 90D came in at a 230 mile range. 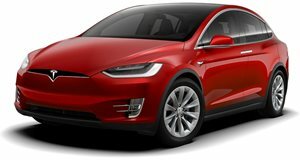 Part of this can be attributed to the fact that both the Model X and Model S are larger and heavier cars than the bolt and, at least in this case, must expend battery energy to power all four wheels rather than just the front wheels. 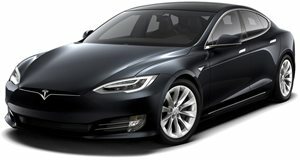 Consumer Reports postulates that the two Teslas would have won if spec’d out with larger batteries available with the 100D package, but that would require an investment above six-figures compared to the Bolt’s low $37,495 price. The Bolt did so well, in fact, that it stole the number 2 spot in CR’s electric car ranking, bested only by the more expensive Model S.
The top-trim Model 3 may come in and save the day for Tesla. Unfortunately, the base Model 3 only gets a range of 220 miles, but knowing how Tesla changes around its trim packages, it wouldn’t be too far-fetched to see the 310-mile battery migrate lower in the Model 3 price range when it becomes more viable. Regardless, the Bolt remains the entry-level electric car for those who don’t have the money for a more expensive Tesla or are too impatient to wait for the Model 3.